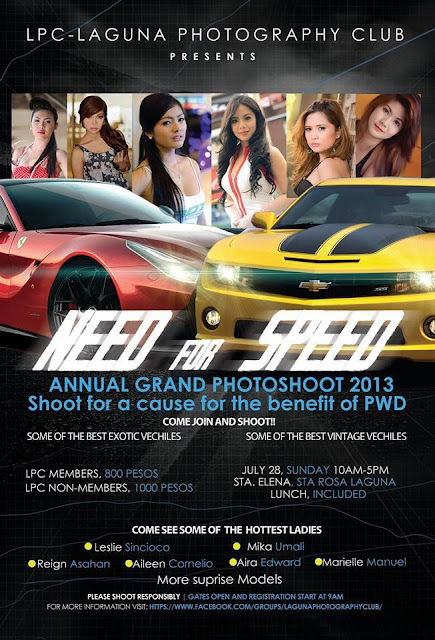 The Laguna Photography Club is once again having their Annual Grand Photoshoot 2013 on July 28, Sunday at Sta Elena, Sta Rosa Laguna from 10am until 5pm. Registration fee for LPC members costs P800. Non members are also invited to join the photoshoot for a registration fee of P1,000. The registration amount includes lunch.